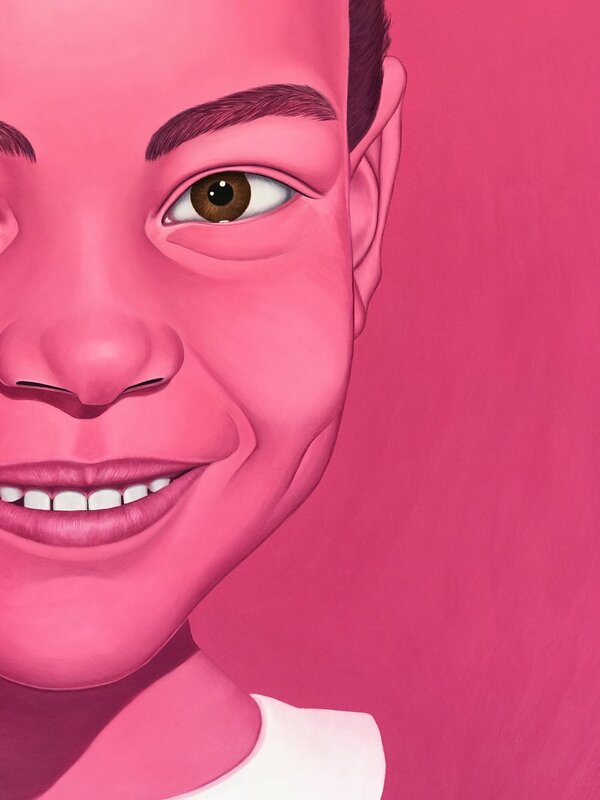 Detail of Pink Portrait (Self) on view at Rena Bransten Gallery through August 18th. I have new work on view in The Portrait Show, a group exhibition exploring portraiture from traditional to non-traditional approaches in a range of media. This diverse grouping of works spans the humorous to the somber, nodding to the rich history of the portrait while aiming to expand its boundaries. The exhibition includes works by Robert Arneson, John Bankston, Dawoud Bey, Jonathan Calm, Lawrence Ferlinghetti, Rupert Garcia, Jennifer Greenburg, Leiko Ikemura, Oliver Lee Jackson, Erik Johnson, Arnold Kemp, Bovey Lee, David Linger, Hung Liu, Tracey Moffat, Martin Mull, Tameka Jenean Norris, Raymond Pettibon, Naaman Rosen, Thomas Ruff, Salomé, Amparo Sard, Peter Saul, Tracey Snelling, Kumie Tsuda, Tara Tucker, John Waters, Lewis Watts, and Henry Wessel, among others.